Would You Swap a 1968 Camaro For a SuperNova? Check out why Shane Davenport is happy with his trade! Stan Johnson calls the “Silver Bullet” a roadster, but it’s as fast as it is unique and has an awesome history to match its wild look! 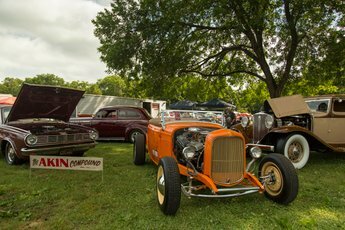 Rat rods typically aren't known for their reliability or drivability. 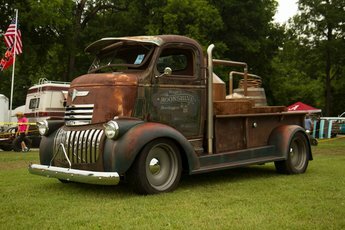 The father-son combination of Ray & Guido Fassel put together two awesome rat rods that they're willing to drive any where at anytime. 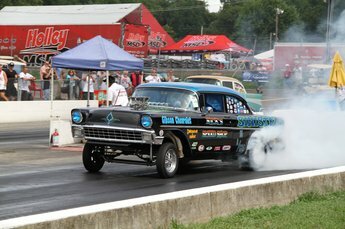 Take a walk with us through the 13th Annual Holley NHRA Hot Rod Reunion! Every year Bill Akin brings a beautiful piece of automotive racing history that is totally unique to the Holley NHRA Hot Rod Reunion and this year he brought his 1962 Indianapolis roadster that he restored in the basement of his home in Hermitage Tennessee. Ben Smith needed a car his whole family could fit into, so he built this Ford Model A Sedan into a Coupe by moving the rear window forward 18 inches. 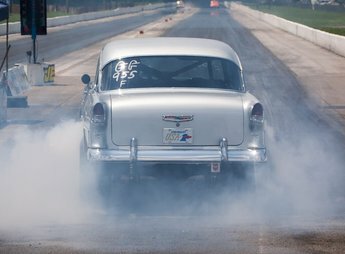 Ben took us on a tour of his Coupe 'de Livery when we caught up with him last year at the 2014 Holley NHRA Hot Rod Reunion. We met up with Dave Ver Schave and his 1955 Chevy at the 2014 Holley NHRA Hot Rod Reunion. Themed after the Schwinn Orange Krate bicycle his parents couldn't afford to get him as a kid, this Orange Krate though boasts two Holley 750 CFM Double Pumpers!